Many people have been using their smartphones for all the wrong reasons. How about you changing that and trying out a new thing that benefits your health and helps you save a lot of money? There are medical apps that help you with diagnosis and purchase of drugs. These Apps sell drugs at the retail price. There are some cases where doctors have in the past taken the opportunity of the sick people and exploited them. They give the wrong prescriptions and sell drugs at exorbitant prices. Patients have no alternative because they want to get well, and so they just pay the money. With these new medical apps, you can compare the prices of a drug from the different manufacturers. They also give details of the side effects something that doctors may skip because they are just interested in making you buy the drugs. Below is a guide of some of the newest apps that you can download and install in your Android smartphone to help you with medication. 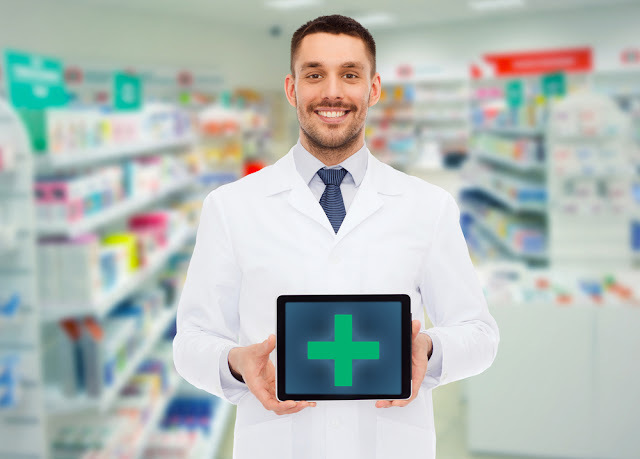 Below you can read full detailed Review on Top Five (5) Best Mobile Apps to Help You Get Cheaper Prescription Drugs and Medicines Online. This is a simple pharmaceutical app that is easy to use and with all the answers to your medical questions. The drug dosage and medicine recommendations are its best features that have made it very popular with people. You just need to have the name of the drug and search for the medication. The app will provide you with the full details on how you should take the drug. If you are worried about age, it breaks down according to various categories like age and weight. The app will also provide you with a list of side effects if there are any. For those that are not sure about the medication, search using your ailment and the app will provide you with a recommendation of the drugs that you should take. This is the Red Cross official app. It is paramount to have it on the phone. You don’t have to panic when you find someone that needs first aid. It gives you step by step instruction on how to offer the first help to a person after an accident. Whatever the condition, you just need to search on the app by typing the common name. In fact, it has a drop down, and it will help you with the options matching what you type. You, therefore, need not worry about the spelling of the various ailments. Apart from helping during accidents, the app will also give you safety tips to use in case of a natural disaster. You type the name of the catastrophe, and you will have all the safety tips that you need to survive. It is helpful as you do not need cellular connectivity to access any information from the app as it is preloaded. You first need to read the latest gadget news and details about your mobile phone to confirm if your phone type can handle this app before downloading it for free. This has taken medication and dosage in a new advanced level. It gives you all the information that you need to know about any drug. The app provides you with a list of possible side effects. For many people, it is hard to remember drugs by their names. The app will help you identify the drug by giving a simple physical description. You can also use the imprint code of the drug to identify it. This app will also provide you with the opportunity to contact directly the manufacturer of the particular drug. You can, therefore, order through this site. You can also get information on insurance about specific drugs from the app. It also performs calculations to help you with the correct medication. It is very disturbing when you feel ill in the middle of the night or in a place where you cannot access a health facility. However, with the Doctor on Demand app on your phone, then you have your doctor there with you. The app connects you to professionals that deal with varied ailments. You will be in touch via audio calls or video chat. You can, therefore, be diagnosed from the symptoms that you have without leaving your house. You can also get advice on medications and dosage. It is cheap to make the call as it costs only $40 for a standard call of 15minutes. This is particularly helpful when you are on a trip away from home and your personal doctor. It helps you book for an appointment with a physician within your neighborhood. The app provides reviews from other patients. It will also give you a list of licensed doctors within your insurance network. You do not have to suffer because of lack of information again. Download one of these apps on your iOS or Android powered Smartphones or tablets that you need today.